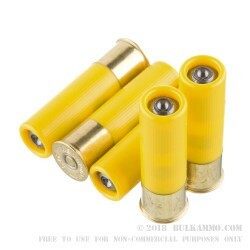 As one of the oldest and most reliable methods of home based self defense, the rifled slug continues to reign supreme and will continue to do so long into the future.The Remington 20 gauge 5/8 ounce Hollow Point Rifled Slug has long been the king of rifled slugs, and after your first pull of the trigger you will quickly realize why. 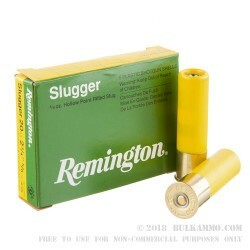 Unlike traditional slugs that immediately began to tumble as the exit the barrel, the Remington 20ga ⅝ Hollow Point Rifled Slug is able to impart spin on the round through the rifled notches carved into the outside diameter of the slug. This is of critical importance for accurately engaging targets out to 20 yards and beyond, as a slug that is unable to properly rotate in flight is both inherently unstable and inaccurate. Forged from a solid ⅝ ounce piece of lead, the Remington 20ga ⅝ Hollow Point Rifled Slug is capable of stopping black bears, mountain lions, and even home intruders dead in their tracks. 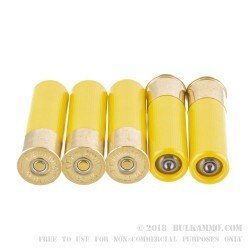 High brass heads ensure integrity of the shotshell during speed reloads, and plastics hulls ensure the shotshell stay dry and ready to fire regardless of outside humidity. 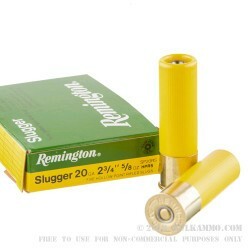 Homeowners looking for an additional source of protection in the home will take comfort in owning the Remington 20ga ⅝ Hollow Point Rifled Slug.